Photo of: West of Ireland: West Cork: Beara Peninsula. A view of the Priest's Leap with Bantry Bay in the background. 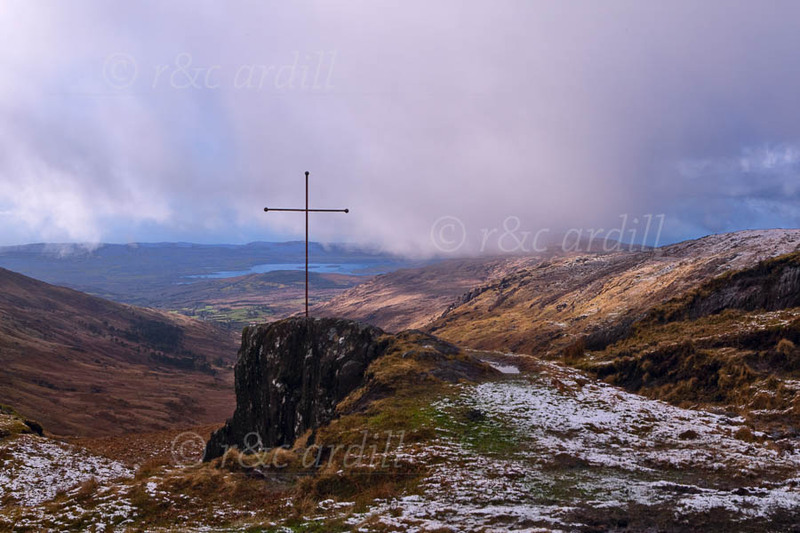 Legend has it that a priest, pursued by soldiers, jumped from this spot and miraculously landed in Bantry, several miles away. This image was taken in late March and there is a scattering of snow on the hills. Coomhola mountain rises to the left and the peak at the right, hidden in cloud, is Cobduff.